This chapter examines how expatriate residents conceptualize Hong Kong through metaphorical source domains. 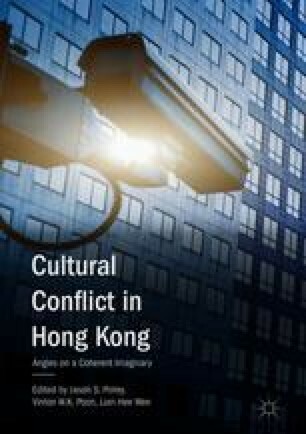 By first exploring how people compare two contrasting concepts, this chapter attempts to elicit explicit comparisons of Hong Kong that can be used to understand the role of metaphorical comparison in understanding. While it can be seen that the conceptualized source domains differ, the underlying inferences between the source domains and the target domain coalesce around the notion of contrast within Hong Kong. This demonstrates that even when new, ad hoc metaphors are generated, the underlying meanings often share similar features. These commonalities, then, can be looked to when evaluating competing theoretical views concerning metaphors and suggests that these competing views may both be valid under different circumstances. This chapter was partially funded by GRF#12400014 from the Hong Kong University Grants Council. I would like to thank my research assistant on the above project, Ms. Winnie Huiheng Zeng, for her assistance with the references contained herein. I would also like to express deep thanks to the participants who responded to this study for the thoughtful answers to my email enquiries and to the reviewers of this chapter. Any errors are my own.